It’s something I didn’t think of. I wasn’t expecting it. The first time it happened, it knocked the wind out of me and left me curled up on the couch in tears. 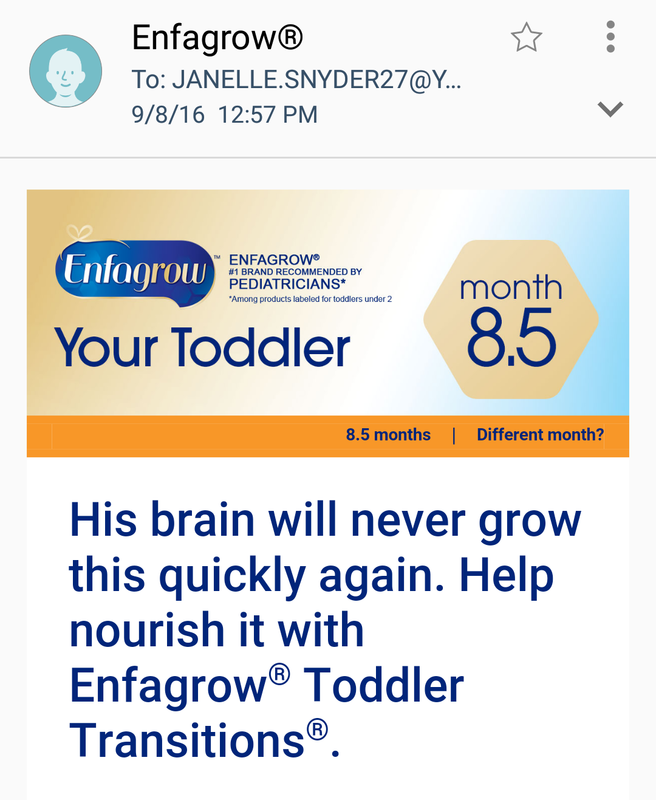 Like so many moms, when I found out that I was pregnant, I signed up for weekly emails about the growth of my baby. I put down his due date: January 12th, 2016. The first email said that my tiny baby was the size of a blueberry. With the growth reminders, these websites also offered free samples and coupons, to be sent in the mail. During my pregnancy, these envelopes and emails heightened the excitement. I loved checking the mail to see what had come. Formula companies don’t check to find out if your baby survived delivery. The stores you register at won’t call and ask if your baby made it. But they will continue to send coupons. They’ll keep emailing you. And those mailers will almost always remind you of what age your baby should be. My latest email reminded me that Lincoln should be 8 and a half months old. Each one is a painful reminder. The emails are easy enough to unsubscribe from; that is, if you don’t delete it in a panic when it first arrives. The items that come in the mailbox are not as easy to get rid of. I wish I could say that harmless coupons were the worst of my mail nightmares. But there is more. When you have a baby, even if that baby doesn’t survive, you eventually get your hospital bills. The first one came only a few weeks after Link was born. The envelop was addressed to “BabyBoy Snyder;” to my angel, who never got a birth certificate or a social security number. He couldn’t get insurance without those, but he could still receive medical bills. This bill was the first of many, and it instantly made me feel defeated. Our overall goal is to have another baby, but to keep Lincoln an active part of our family. This goal keeps me going. It gives me something to hope for; to look forward to. Those medical bills make it feel less possible. We have bills from a baby that we didn’t get to keep. And when we have another, more bills will come. It overwhelms me and discourages me. And so, my husband has banned me from checking our mail. As he so often does, he gave me a pep talk. He reminded me that money is not as important as the happiness of our family. Financial hardship will probably always be a part of our lives; but we will not let it control us. We will carry on building our family. Some day, Lincoln will help choose his brother or sister for us; and when that day comes, the money will be the last thing on our minds. It won’t be easy, but it will be worth it. I think so too! It was actually an amazing friend of mine who worded it that way. She told me that I should try to be patient because Lincoln is hand picking his baby brother or sister. I’ve gotten some pretty incredible insights from others.